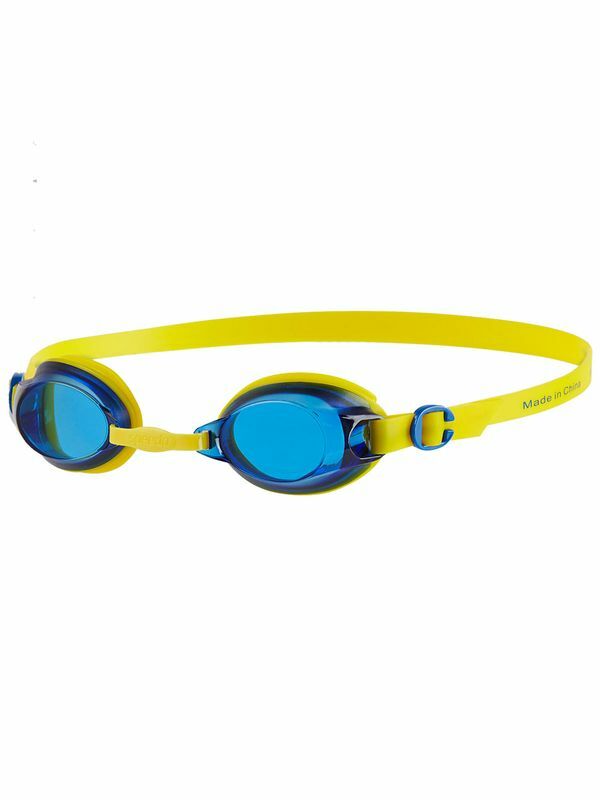 The Speedo Jet Junior Yellow & Blue Goggles is an entry level recreational goggle with hypoallergenic seal, great for the leisure swimmer. The single head strap allows for an easy fit while the adjustable nose bridge fit a range of face shapes. Jet Junior Yellow & Blue Goggles manufactured by Speedo Swimwear the worlds leading swimwear brand. Speedo is passionate about life in and around the water, creating revolutionary new technologies, designs and innovations.